Additional materials for your product are available to teachers. To access these materials one needs to register for a teacher account. After your teacher account has been verified, you will be able to register your product to gain access to additional materials. To determine if your product has additional materials online, check the copyright or title page to see if there is an access code. If so, you can follow the steps below to gain access to these materials. 1. Go to https://www.sadlierconnect.com in your web browser. 2. 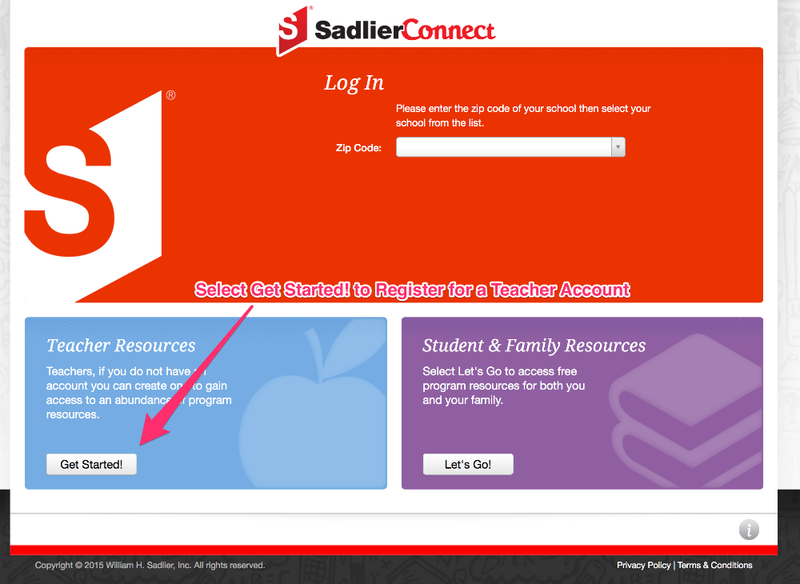 Once at Sadlier Connect, select the Getting Started! button in the light blue Teacher Resources section. 3. Complete the Teacher Registration form. You will need to enter the zip code of your school and select your school to complete the form. 4. 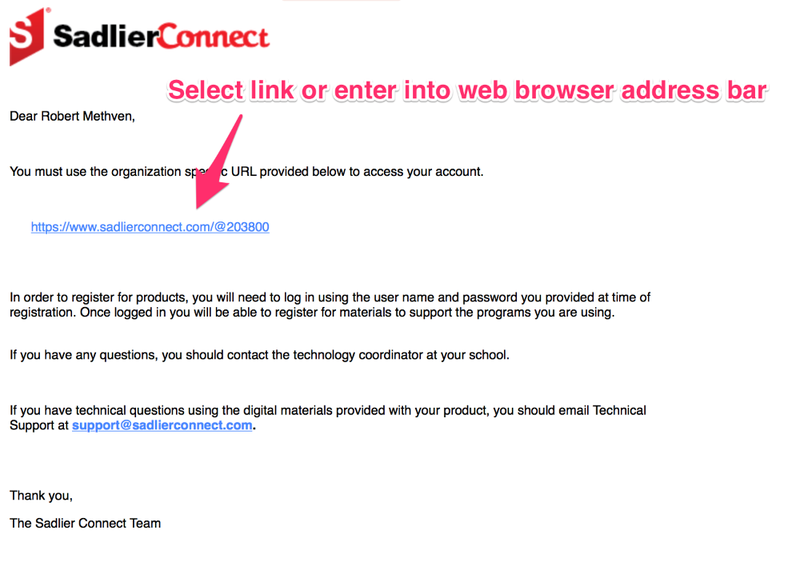 After selecting "Create Account" on the Teacher Registration form you will be emailed a link to verify your account. The email will be sent to the email address you used in the Teacher Registration from in Step #3. Below is a sample of what this email will look like. 5. 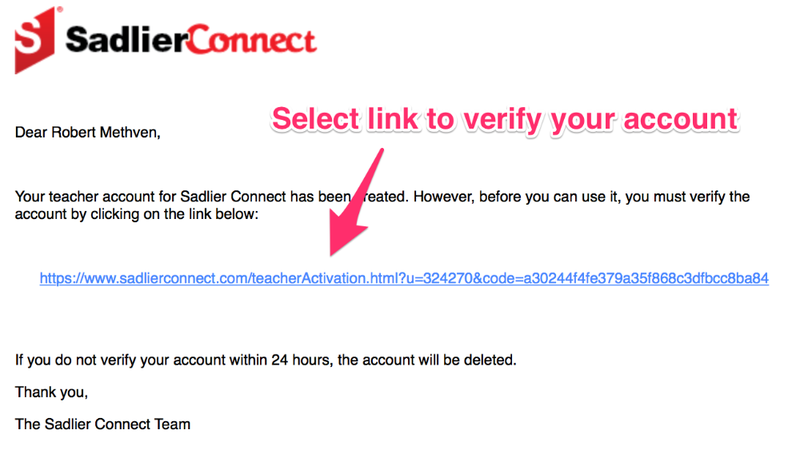 You must click the link in the account verification email to complete the process for creating your account. If you do not verify your account within 48 hours, your account information will not be retained and you will need to restart from Step #1. 6. 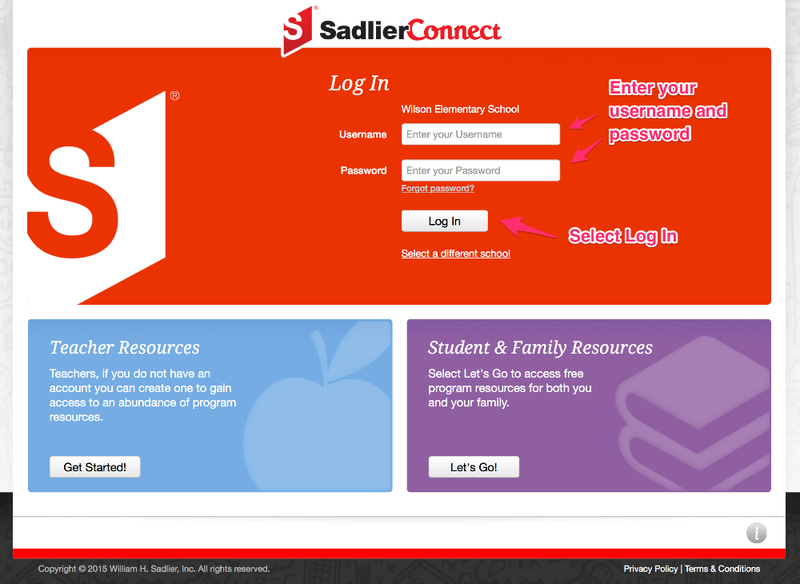 After selecting the link to verify your account, you will be taken back to the Sadlier Connect Log In. You will also receive an email that confirms your account has been verified. 7. 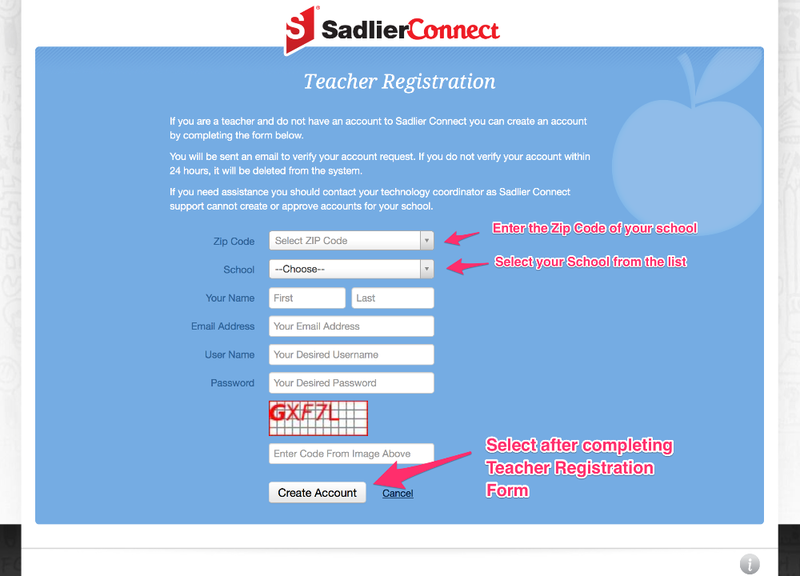 You will need to log into your account entering the username and password you specified on the Teacher Registration form when creating your account. 8. 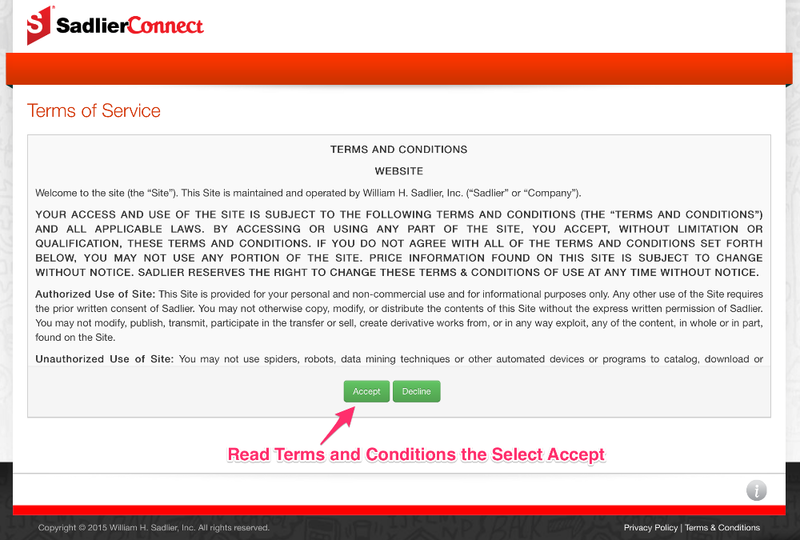 The first time you log into Sadlier Connect, you will need to read the Terms and Conditions and accept to them to continue. 9. 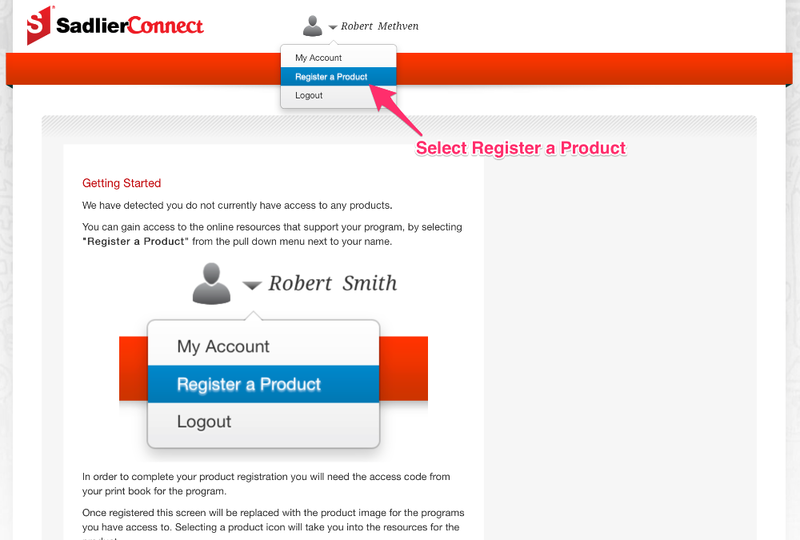 You will now be able to register your product through "Register a Product". 10. To complete the process of registering your product, you will need to enter the access code found in your teacher's edition. The access code is typically found towards the bottom of the copyright page. 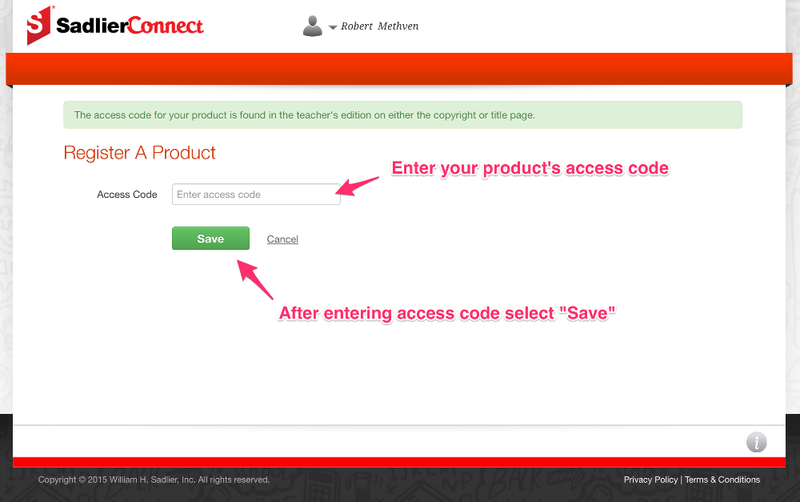 Some products have their access code on the title page of the teacher's edition. 11. You will then be able to access the materials for the product you registered. 12. If you have additional products you want to register, go to Step #9 and enter the access code for each of the additional products you need to register.